New York has many special regions, but my favorite as an avid skier and hiker is the Adirondacks. Recently on a week of “funemployment” before starting my new job, I chose Paradox Lake for a few days of camping, kayaking and hiking. 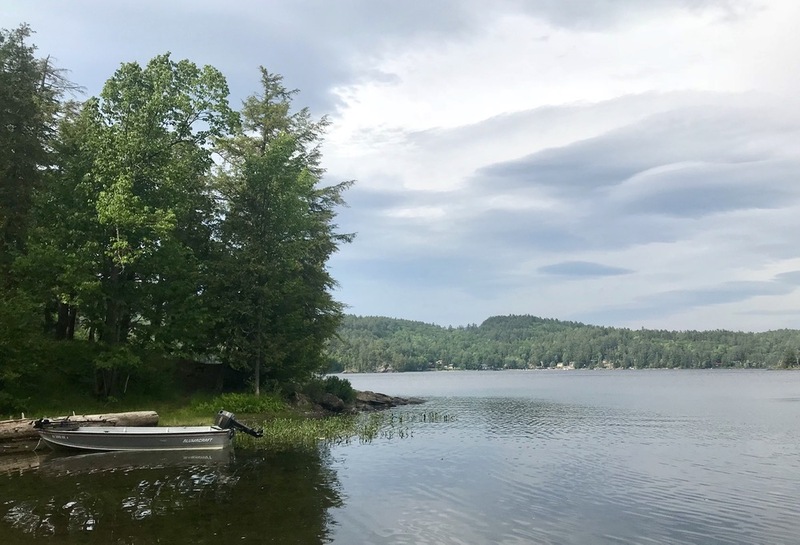 I met up with John on a Monday morning and we trekked up the Thruway to the town Paradox; a rural town in the eastern foothills of the mountains that is home to beautiful Paradox Lake and a well-maintained campsite, complete with a beach. 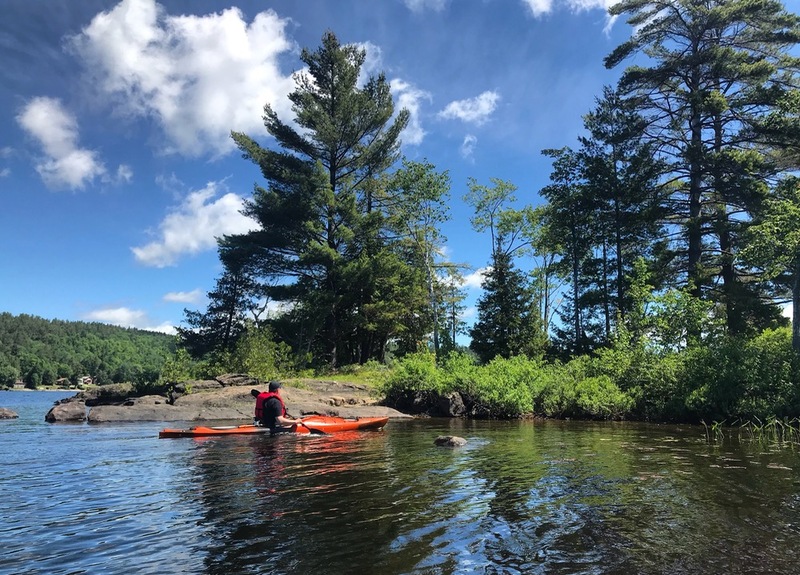 We set up camp quickly in anticipation of a rainstorm that never arrived, and took the kayaks out for happy hour on Birch Island; a small island just a two hundred yards from the shore. The next morning we woke to a perfect summer day, and elected to fully explore the lake in our kayaks and fish. We toured the east end of the lake and then headed towards the northern shore. From there we hiked two miles uphill towards Peak Hill Pond. We arrived and we took a break for lunch and enjoyed the pristine, tranquil scene around us. After lunch, we headed back down to the narrow waterway connecting Paradox Lake’s eastern and western wings. The ranger at the campsite suggested that this would be the best site for fishing, so we got to work casting our lines in the shadows of the trees that draped the edges of the lake. I am, admittedly, not a great angler and for two hours I caught only lily pads. 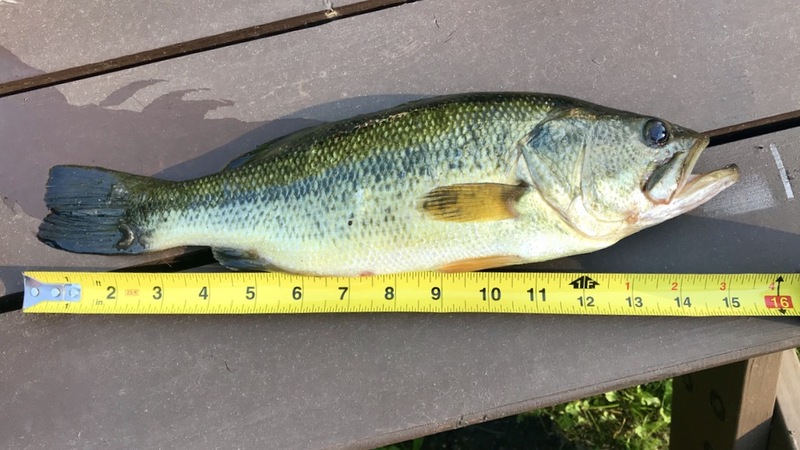 However, when I was on the verge of giving up, I reeled in what John claimed was the biggest large-mouth bass he has ever seen. After deeming it to be well beyond the minimum length for consumption, we hustled back to our campsite where I filleted our catch and grilled it with some homemade chili salt, lime juice and scallions. 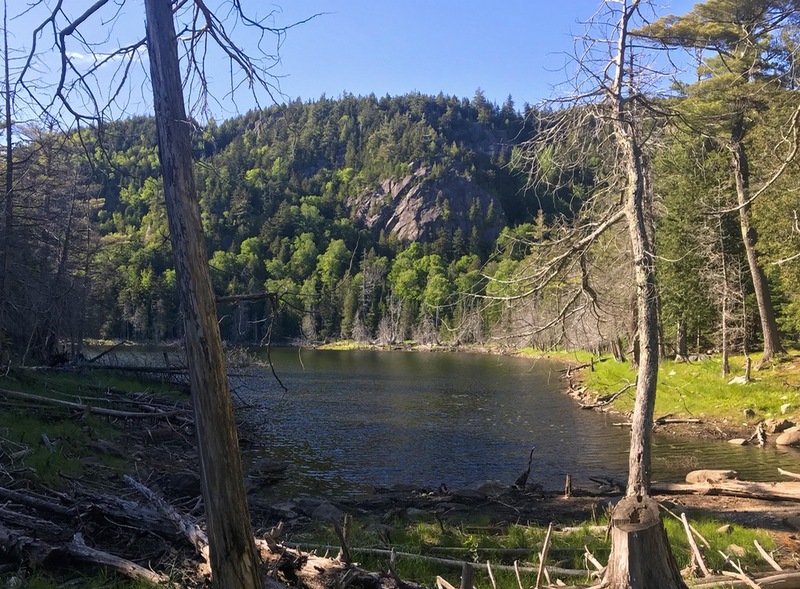 On Wednesday, we headed north to the Keene Valley to climb Giant Mountain, one of the high peaks whose trailhead begins at Chapel Pond right off Route 73. The primary trail is short at just six miles round-trip, but the consistent steep grade makes for a challenging hike. Just under a mile in, we reached the Giant’s Wash Basin; a small alpine lake that sits beneath the towering mountain peaks above. After this point, the trail became steep and exposed, with a series of rocky slides and ledges, each offering a better view than its predecessor. As we closed in on the summit, we ignored warnings from fellow hikers of alleged swarms of flies and copious mud and charged onward. While the warnings were not without merit, the high peaks always have some mud and flies, and we were well prepared with bug spray, grippy shoes and trekking poles (I would strongly recommend all of the above for any hike in this region). When we reached the peak, we cracked a beer and enjoyed one of the best views in the northeast. 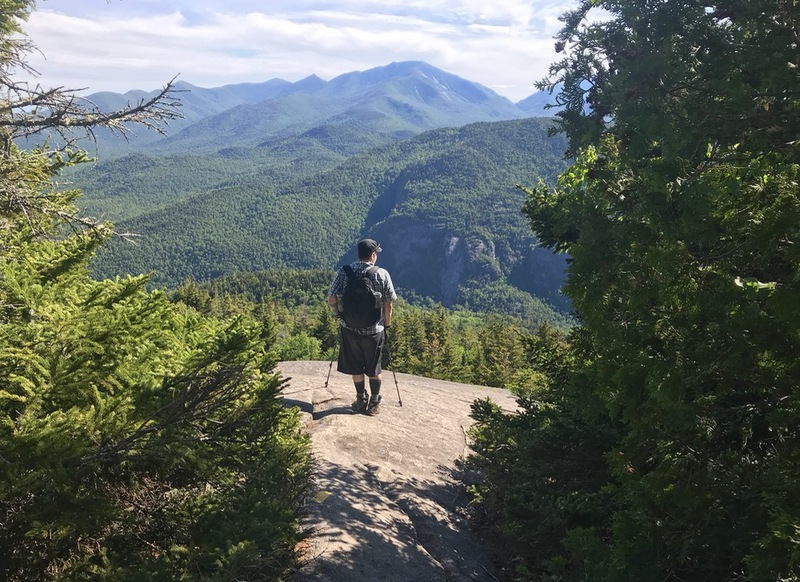 We could see nearly every high peak, including the snowless trails of Whiteface, Schroon Lake to the southeast, and the Green Mountains of Vermont to the east. A steady breeze kept us cool and kept the flies at a minimum. If the drive back home wasn’t calling me, I could have easily spent a few hours up there. I went to the Adirondacks to decompress between jobs but, as always, these few days in nature gave me much more. Escaping from the hustle of daily life to wonder at the vast expanse of wild nature—whether from the seat of a kayak or the pinnacle of an impossibly high mountain—put everything in perspective for me. And I even caught a fish. Great fish pic! Beautiful spot. Did you see many water snakes there? I saw just a couple there but I know somebody who has a camp on Paradox and says they’re everywhere.